In Italy there are some traditional pastries known in the whole country as for example the Pandoro, the Panettone, the Torrone, the Ricciarelli, The Mostaccioli, the Panforte, the Struffoli and the Panpepato as you can see here below. Sure these pastries became known worldwide in the meantime. Please do not forget to enjoy these pastries with an Italian Coffee or a glass of Wine. 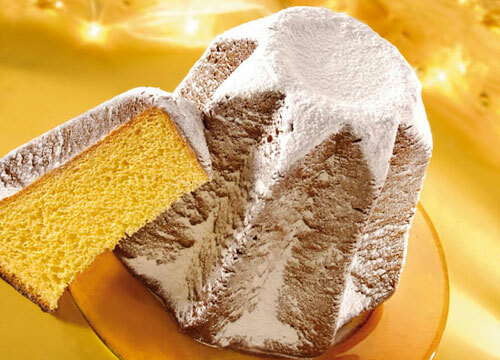 Pandoro is Verona’s answer to Panettone, a rich, buttery cake that’s generally sprinkled with an abundance of powdered sugar. Unlike panettone, it never contains candied fruit, and for some this is a plus. It is remarkably good in any case. 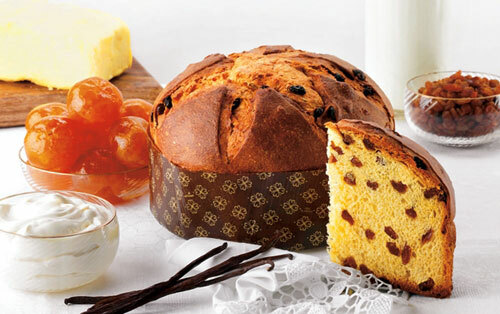 Panettone is the traditional Christmas Cake and has become the most common Christmas cake in Italy thanks to its keeping qualities — Industry can churn them out and they stay fresh. So industry does, and pastry shops everywhere also make them. It’s a deserved popularity, because it is good, and if you make it yourself you can include exactly what you want — raisins, candied fruit, and so on. Panettone is also easy to rework. 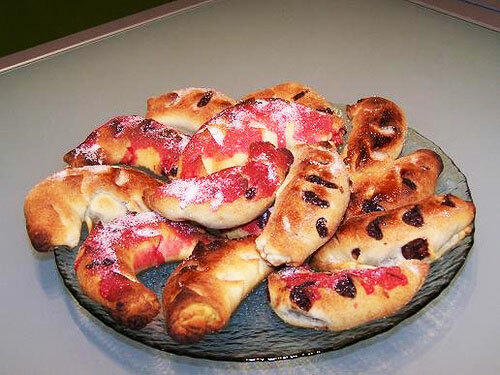 Another typical Italian pastry, possibly coming from Cremona. 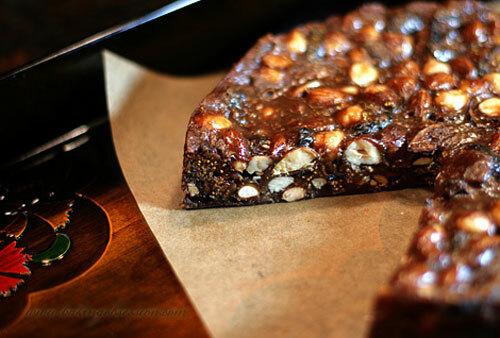 This pastry is made with albumen, honey, almonds, nuts, peanuts, hazelnuts coats with two wafers. 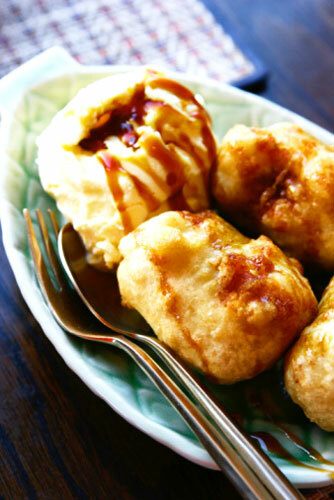 They are made with a dough similar to almond paste, which is mixed with vanilla and then baked in the oven. The form is similar to a rice grain. The surface is covered with icing sugar. This pastry is a soft dough with honey and crystallised fruits and covered with chocolate. 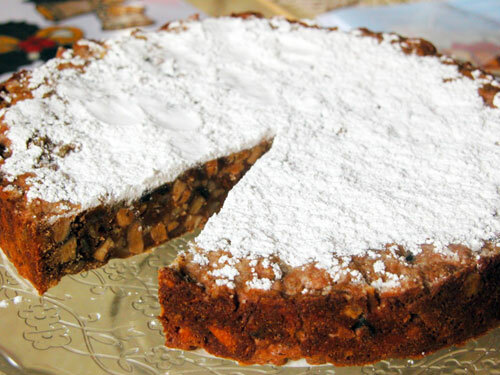 Some say Panforte is so good it allowed a Novitiate nun to drive the Devil from her convent, while others say it’s older still, the centerpiece of the feast the Baby Jesus prepared for a street urchin who gave him his last crust of bread. Could be either, but it’s good regardless. 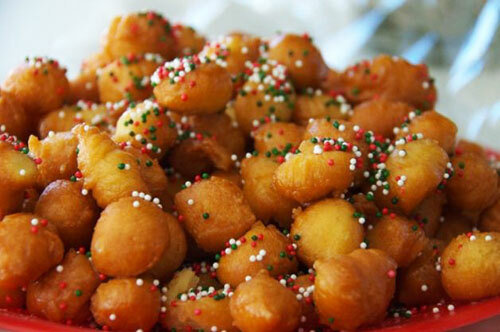 Struffoli (they’re always plural) are fried dough balls dipped in a honey syrup, shaped into a wreath, and sprinkled with diavolilli, a type of candy. Sounds (and is) quite rich, and is also probably extremely old — this sort of use of honey as a sweetener dates back to the Romans. 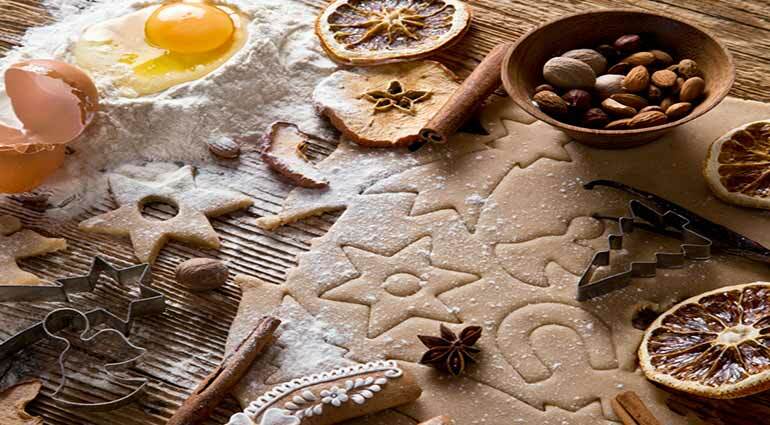 It is a mixture of almonds, hazel-nuts, pine nuts, pepper, cinnamon, nutmeg, crystallised, pieces of orange peel kneaded with cocoa, honey, flour and cooked grape must and then cooked in the oven. 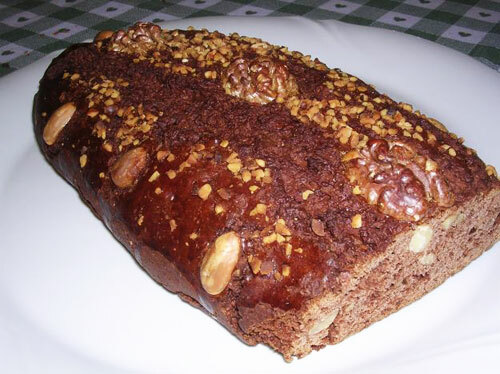 Like the cake version, the bread is made with nuts, died fruits, eggs and milk. 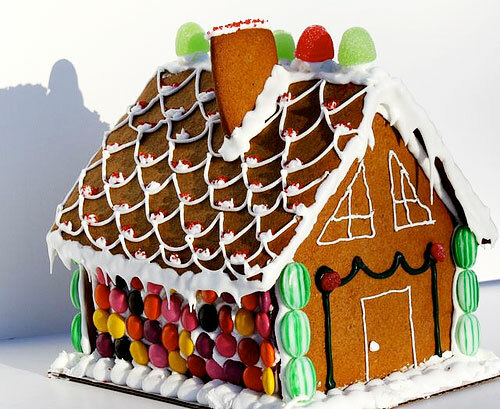 It’s nothing like fruitcake though, at least this version isn’t. 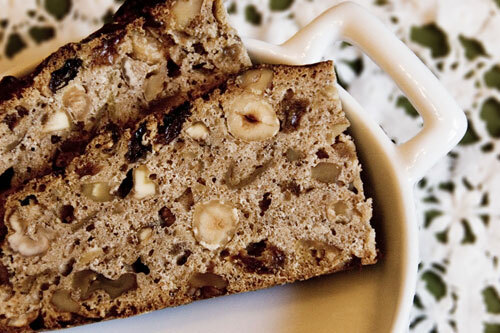 Instead it is similar to a walnut levain or cranberry walnut bread with a hint of sweetness. 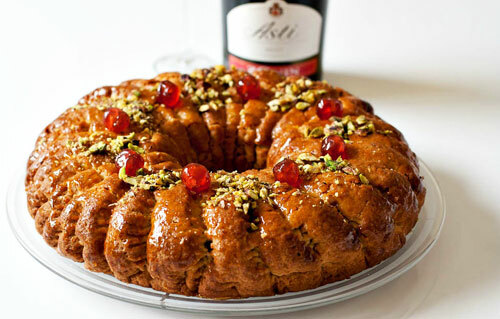 A Buccellato is a Sicilian circular cake given by godparents to the godchild and family on the christening day. The cake is supposed to be as large as possible to ensure good luck. Legend has it that the cake has even once reached the size of a Ferris wheel. Depending on the recipe used, it can include dried or candied fruit. It is often paired with warm tea or cappuccino. It is usually consumed at about 16.00-17.00 pm but many also eat it for breakfast. 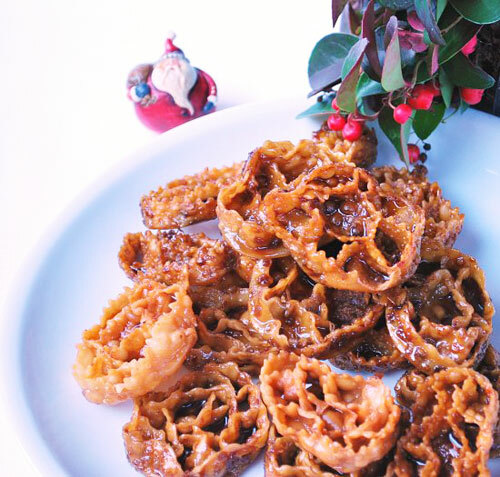 No matter how you pronounce them, Molise’s traditional Christmas treats Caggionetti are one of the best Christmas treasures around. Chocolate, chestnuts, almonds, chickpeas, rum, lemon zest, cinnamon & honey are just part of the filling, enclosed within a paper-thin white wine fried ravioli casing, who could possibly resist? Cartellate are crisp pastry spirals that are drizzled with honey. They are sometimes called the “dahlias of Saint Nicholas” because of their color and shape and also their association with the nuns of the hospice for pilgrims of Saint Nicholas of Bari. At one time honey was expensive and not always available, so cooks used a syrup made from figs to drizzle over the cartellate. Alternatively, the pastries were drizzled with mostocotto (grape must or juice cooked down to a thick, sweet syrup. 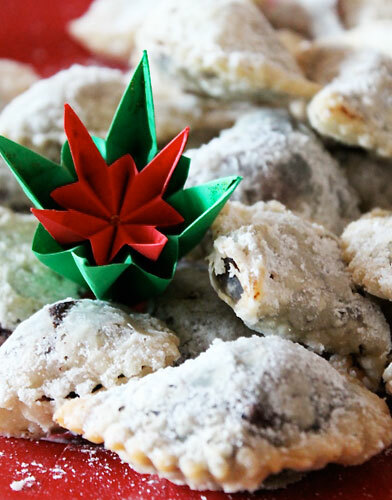 The Cavallucci are traditional white, spongy, aniseed and compact biscuits, with walnuts and candied fruit, produced in the province of Siena. It’s a kind of cake or sweetbread which is also called panspeziale or ’spiced bread’. 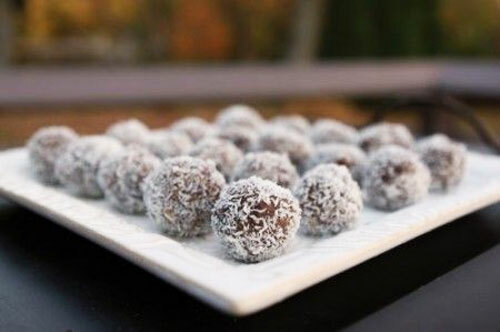 It’s made from a series of ingredients including dried fruit, almonds, dark chocolate and pine nuts and goes back to the Medieval period when it was made by apothecaries, before the recipe was taken on by the Carthusian monks. Parrozzo has a very humble beginning. The name derives from a simple bread made by Abruzzese shepherds, pan rozzo, made from ground corn, water and a bit of olive oil. 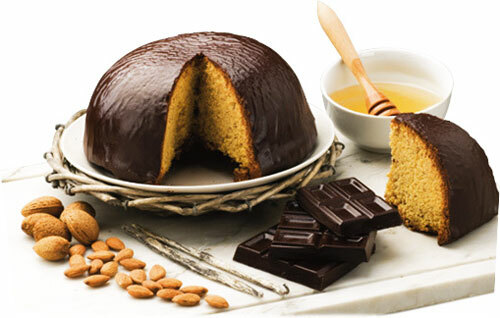 In 1920, Luigi D’Amico, a baker based in the coastal town of Pescara, took this rather characterless example of cucina povera, or “the poor kitchen,” elevated it with plenty of ground sweet almonds from Abruzzo’s abundant almond groves and embellished his creation with a coating of rich chocolate. 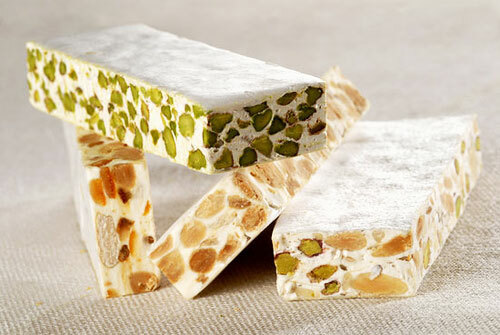 Its popularity spread beyond Pescara, and Parrozzo has become one of the iconic sweets of the region. Pettole are fried dough balls, a Christmas treat common throughout Apulia, and according to legend were a gift to the poor from Baby Jesus. 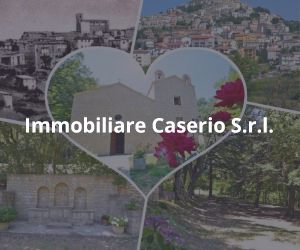 Now they are prepared on the 22th November the Santa Cecilia Day or on the 8th December Feast of the Immaculate Conception but normally during the Christmas Time. 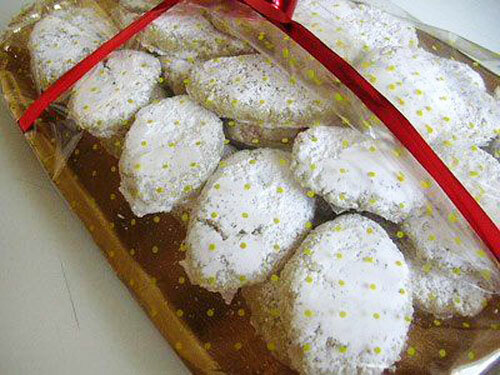 It is a tipically product of Naples with almonds, flour, sugar, cristallized and some spices. The Roccocò is baked in the oven and has a round form of about 10cm. The biscuit is particularly hard and could be soften with Vermouth, with sparkling wine, white wine or Marsala. 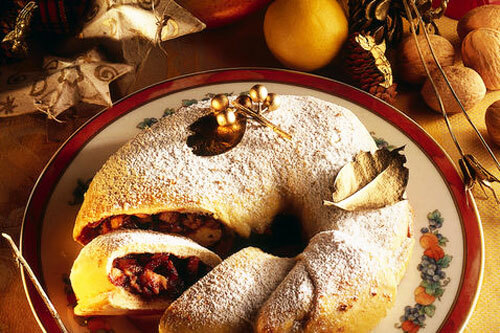 This pastry is usually baked on the 8th Dezember (Immaculate Conception). 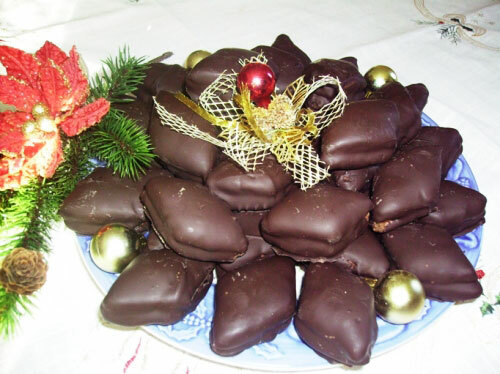 This is the perfect christmas pastry, the “tartufi agli amaretti”, made of mascarpone (Italian cheese made from cream), dry amaretti, chocolate, cocoa powder, rum and coconut powder. Absolutely deliscious! A tipically pastry from Umbria with a medieval age story. 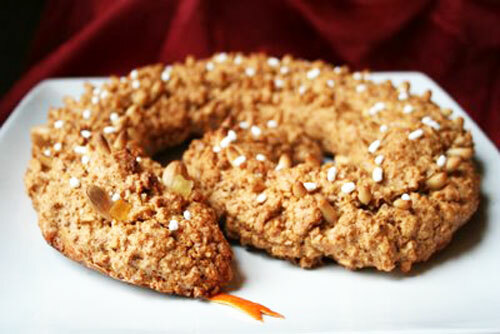 This pastry is made with sweet almonds, bitter almonds, sugar, Brandy, flour, eggs, pine nuts and grated lemon.